It’s official: Chad Reed is back with Factory Yamaha. It’s something that’s been talked about for a while, and Reed has been riding a Yamaha for several months now, and even raced one at the Monster Energy Cup and the AUS-X Open back in Australia. Reed said at the press conference yesterday that he started testing the bike prior to the Monster Energy Cup in October. You can’t ever count Reed out—he’s always a threat to win no matter what. Would it surprise anyone after a strange off-season to see the two-time champion on the podium? If you’re wondering on James Stewart’s status after hurting his ankle in France, wonder no more—the Yoshimura Suzuki rider is scheduled to be on the gate Saturday night. The team says the injury set his training back a bit, but he got back on the bike as soon as he could. And as with Reed, hardly any result for Stewart would be a surprise. He could win by a mile, slice back to a podium after a bad start, or crash spectacularly into a DNF. 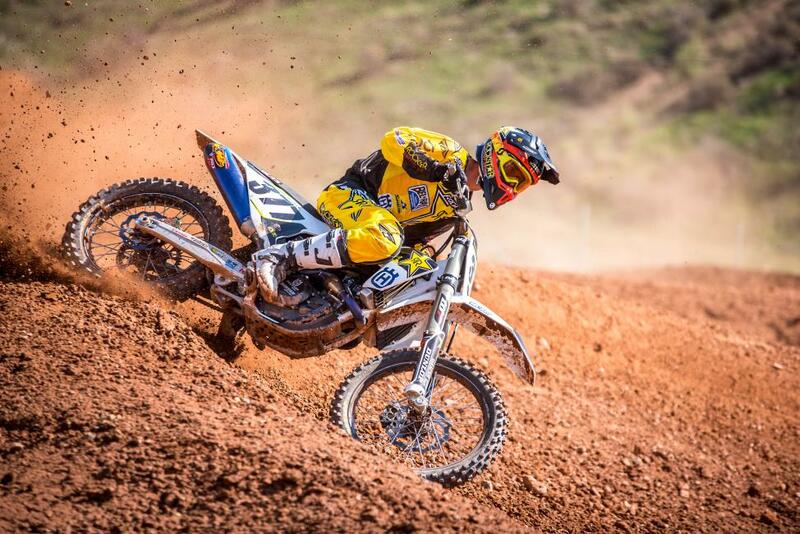 It’s all plausible—ladies and gentlemen James Stewart is back in supercross! Saturday will be the first time we’ll get to see Eli Tomac in competition aboard his new Kawasaki. As a pro we’ve never seen him on anything but a Honda, so this debut should be pretty interesting. When Tomac has his bike dialed, he’s proven to be almost unbeatable, but when things don’t go right, the results have been disastrous (remember, he finished a lowly 10th at Anaheim 1 last year, and then won the very next weekend). We’ll see how things go with his new team in Anaheim. Looking for a rider to put your money on this Saturday night? If you go by past results, you’ve got to go with Ken Roczen. Since moving up to the 450 full time in 2014, he’s never lost the opener. If he wins on Saturday night, it’ll be three years in a row! We haven’t seen that type of streak since Jeremy McGrath won the openers three straight years from 1994-1996. Roczen also won the last race he entered, the Monster Energy Cup, making him a solid pick to win the first race of 2016. We couldn’t write this column without mentioning Red Bull KTM’s Ryan Dungey, although there just aren’t as many questions surrounding him as there are some of the other, more mercurial riders. He could easily win, but he’s definitely not going to crash out, and it’d be a shock if he finishes outside the top five. After all, his worst result last year was fourth, and that came at the opener. It’s entirely possible Dungey could both podium with a third and have his worst result of 2016, all in one night! Justin Barcia and his mechanic, Ben Schiermeyer, seem to have a good relationship, and they do everything together, from winning motocross races, to road and mountain biking, and even discussing proper beard grooming technique. But the one thing they haven’t done yet together is win a supercross race. In fact, Barcia hasn’t won a 450SX race since he won at Seattle in 2013. You know it’s only a matter of time before they break through. Could it be as early as A1? Okay, we’ve seen Marvin Musquin do a few 450SX races and we saw Justin Bogle on a big bike last summer in Lucas Oil Pro Motocross, but this is the first time they’ll both line up for a full season of 450SX racing. Both are very good at supercross—each boasts a 250SX title—but we still don’t know how they’ll stack up against the current group of highly decorated 450SX veterans. Speaking of 450SX debuts, Christophe Pourcel will be making his long-awaited one this weekend. It’s hard to believe the last time we saw the two-time 250SX champ ride indoors was at the Dave Coombs Sr. East West Shootout in 2010. How on earth does the guy who won two regional titles in a row not even race a 450 in Monster Energy Supercross for five whole seasons? That’s a long and complicated story. On Saturday night we’ll finally get to see the talented Frenchman dive back into supercross, and this time it’ll be in the deep end of the talent pool. There are so many legitimate title contenders this year it’s not even funny, and Trey Canard and Cole Seely are both stamped firmly on that list. And at the risk of sounding like a broken record, both could easily walk away with the win at A1 (are you getting the sense that a lot of riders could win on Saturday?). Seely won a race last year and is said to be flying in pre-season testing. Canard won a pair of races before getting hurt in Detroit, but looked to have his speed back at the Monster Energy Cup. Could the teammates go 1-2 at the opener? Another year, another fresh start for Davi Millsaps. Three years ago he was on a Rockstar Suzuki and won the Anaheim opener. He didn’t even make the race in 2014, and last year he entered the season with lots of hype on board a Monster Energy Kawasaki, but he was ill and never got up to speed. Three years is a long time in this sport, so Millsaps is running out of time (and options) to right this ship. His last best chance could be now, with BTOSports/KTM/WPS. Remember how we said earlier how anything could happen for a guy like Stewart? Well, the window of expectations is pretty wide for Millsaps, too. The Rockstar Husqvarna Factory Racing rider raised a few eyebrows last year at the season opener by finishing a surprising second place behind Roczen, then proceeded to raise the anger level of some of his fellow racers by becoming a bit of a human pinball as the season progressed. You probably won’t see him ride with any less aggression, but you can probably expect to see him learning from his mistakes and hitting the ground less. He’ll also be armed with the new FC450, which is a big improvement over last year’s bike. We’ll see if his new and improved bike and year of experience add up to an even better outing at the season opener.